The past few months have witnessed several key moments in the debate over environment and justice. These include resignation of Union environment minister Jayanthi Natarajan, cancellation of Vedanta’s environmental clearance for mining in Niyamgiri and the go-ahead to POSCO for mining in the Kandadhar hills. 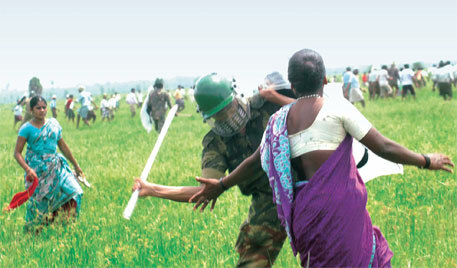 One such development was a statement by the Supreme Court regarding the allocation of coal mines. The court on January 8 asked the government not to use investments made in mining as a trump card for allowing projects in ecologically important areas. While this appears to be common sense, the statement is important in the current process of reaching an environmental verdict. Till date in almost all cases where people have raised environmental and livelihood concerns about partially completed projects, the authorities have issued clearances based on the argument that the invested amount will go waste if the project is not continued. In economic terms, such an argument is called “sunk cost fallacy”. Failing to consider the investment as cost that is already “sunk” has been the deciding factor in settling several environmental cases. This is because, by the time courts hear the matter, industrial operations would have been kicked off using environmental and forest clearances by the state or Union ministries. Thus, a delay in addressing issues on ground, which is deliberate in most cases, allows “sunk cost fallacy” to influence decision making. Our research in Naupada wetlands of Srikakulam district, Andhra Pradesh, gave us a firsthand understanding of the issue. A coal-based thermal power plant is being constructed in the Kakarapalli swamp that is part of the much larger Naupada wetlands. The swamp is an important feeding area for migrant birds from Europe and Central Asia. It also functions as a flood cushion for agricultural fields in surrounding areas by absorbing seasonal surges from the streams originating in the Eastern Ghats. 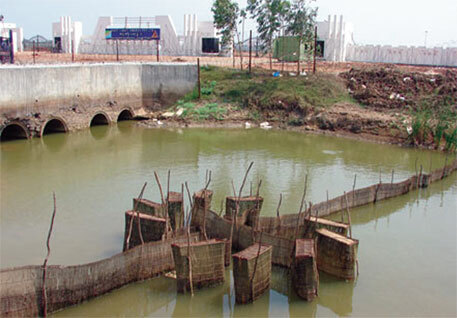 But ever since construction work has started in Kakarapalli, agricultural fields are increasingly being flooded. Filling and elevation of the wetland has altered its natural flood management system. In addition to agricultural losses to thousands of farmers, many fisherfolk have lost their livelihood. The Expert Appraisal Committee of the Union Ministry of Environment and Forests (MoEF), which recommends projects for environmental clearance, gave its nod for setting up the thermal power plant in Kakarapalli despite recognising the ecological importance of the region. The clearance was challenged in the National Environmental Appellate Authority (NEAA). It confirmed that the area is a wetland of prime ecological significance, but allowed the project to continue. After listing out expenditures by the company for works, such as de-silting of streams, NEAA called for “an exercise of balance of conservation and development”, and opined that asking the proponent to leave “at this stage” would serve no public interest and would set back all development activities initiated. Its order further states that the problem of flooding has already been addressed through de-silting of streams and construction of a drainage canal that short-circuits the reclaimed construction site. However, the fact is the de-silted drains and canal protect the construction site from floodwater, not the surrounding agricultural land. Farmers say flooding has only intensified since the de-silting and canal construction works began, as it led to further elevation of the swamp. The impacts were severe last year during the cyclones of Phialin and Helen. The NEAA order also mentions that the company has agreed to compensate Rs 1.14 crore to the fishing co-operative society of Kakarapalli. But the fisherfolk chose not to accept the compensation. The fisherfolk have joined the farmers and civil society activists of the region and are protesting the power plant in its current location. Unlike the Kakarapalli case, NEAA had cancelled the environmental clearance for a thermal power plant proposed in Sompeta in Srikakulam, stating that the project would have serious ecological impacts on the wetland ecosystem. Unfortunately, the cancellation came only after three people lost their lives as the police opened fire at protesters. The different approach is also because of an important difference between the projects—in Kakarapalli the company had started work on the project while construction had not begun in Sompeta. Hence, despite acknowledging the impacts of the thermal power plant on the environment and marginalised communities in Kakarapalli, its sunk cost fallacy became the primary criteria for allowing the project to continue. To allow companies carry out their work despite ecological and social losses only based on the argument that they have spent a lot of money goes against conventional wisdom. Such instances are not rare. In the sal forests of Mahan, Madhya Pradesh, a captive coal block had been proposed. Construction work on the mine had begun much before the project received in-principle approval in October 2012. Similar is the case of the coal block in Chatrasal forest which was granted in-principle approval in November 2012. Both the forests form the catchment of the Mahan river and are home to several endangered wildlife species. Despite opposition from MoEF over the approval of these projects, the Union finance and coal ministries were ready with their classic response that investments have already been made and hence the final approval should be granted. The Supreme Court’s statement on January 8 was refreshing in such political and legal context. It has the potential to give a new direction to the many conflicts across the country, such as the Kakarapalli case that is pending before the Chennai bench of the National Green Tribunal. However on April 21, the court lifted the 2012 ban on mining in Goa claiming that people have already taken loans on investments such as lorries. This is distressing. Despite the clear statement by the Supreme Court, the “sunk cost fallacy” may continue to be the basis on which environmental decisions are made. Thank you for this well compiled article on this important subject. There needs to be a mechanism to prevent any investment or displacement prior to clearances! This sunk cost fallacy will be the final nail on our environment. What about the sunk costs of the affected people who have invested their lives for generations?